A special kind of veterinary hospital. We are proud to be an AAHA accredited practice. Fewer than 15% of practices earn accreditation. AAHA has one goal: to certify excellence in everything you do. Veterinary medicine and technology has made incredible advances in the last few years. Sometimes, technology can help to solve problems that once looked unsolvable. We are open 7 days a week. Why? It is so important to us to always be available for you and your pet whenever you need us. Because we believe you deserve no less. The game just changed – who says pets can’t have the best health care in the world? Our animal hospital is equipped with some of the most advanced veterinary technology in the world – from a CO2 surgical laser, to the latest in digital radiography. We invest in these tools because we believe you deserve to feel confident in the care your dog or cat is receiving, at all times. Our team is filled with exceptionally skilled professionals with different backgrounds. Because of this, we are able to do incredible things when working together. In order to deliver truly advanced veterinary medicine, we believe we need to work together on every case. This allows us to be thorough in a way that is as unique as it is important. So when your dog or cat comes in for their visit, they aren’t just being treated by a person, they are being treated by a team who has been certified for excellence. It is so important to us that this feels like home for you and your pet. Truly, we believe you deserve that. We want you to feel welcome, valued, and have an experience that minimizes stress and maximizes the bond you share with your pet. As a testament to this approach, we even have separate entrances and waiting areas for dogs and cats. We promise to always treat you as an individual, to always listen intently to your questions and concerns, and to always be there for you. Because we care. Some of the sweetest, most caring people I know. They know you and your pets name when you walk in the door. I have had nothing but fantastic experiences at Twin Maples. They took the time to make sure I fully understood what was going on with my pet and what options we had for his care. Love them! As always Twin Maples was there when we needed them. You never know when an emergency will arise and it is comforting to know that they have your loved ones information and are available to treat them. Thank you very much Dr. Clouse for going way above what we would have ever expected for Boo. Our dogs are like our kids and it hurts your heart when they’re not feeling good. Thank you again, you have set a standard that no one will ever be able come close to. Our goal is to keep your pet healthy, happy, and by your side for as long as possible. In order to do that, preventative medicine and routine checkups are key. We perform thorough examinations for your dog or cat on each visit to make sure that any problems are caught early – when they are easiest to treat. We use state-of-the-art tools to pinpoint the source of a problem. Because we have these tools in-house, we are able to quickly diagnose a health issue and put together the best possible plan of action for your pet. When your pet needs surgery, you want to know that their veterinary team is highly trained, talented, and using the best tools possible. That’s what you get with us. So whether you need something routine or complex, know that they are in excellent hands. By the age of three, most dogs and cats show signs of periodontal disease. This is not only (silently) painful, but can actually cause serious health issues later in life. But not to worry – periodontal disease doesn’t stand a chance against our team! We are a certified Feline Friendly practice. 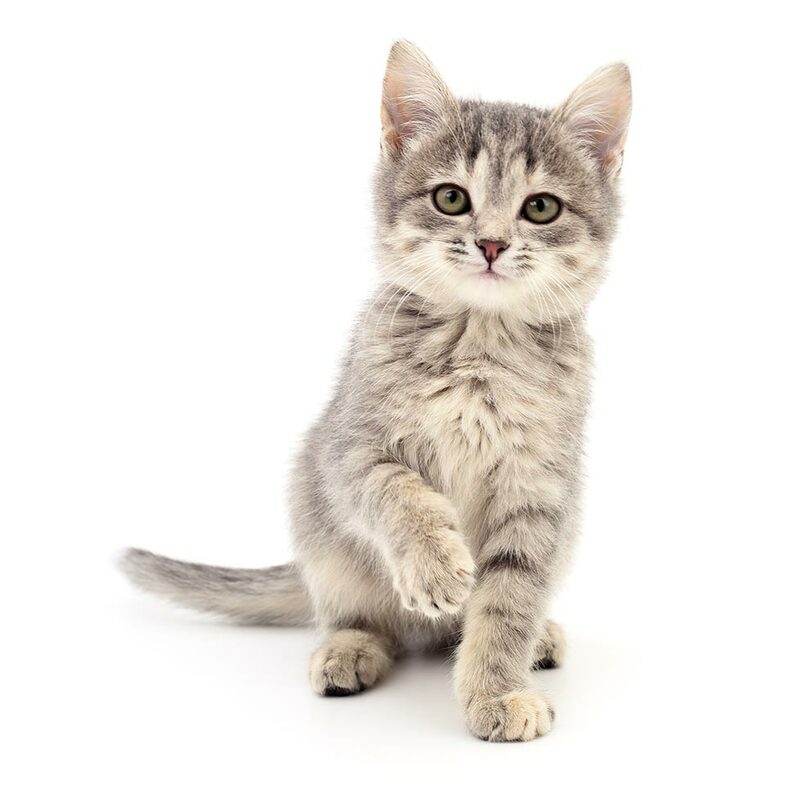 That means we have proven to take important steps to care for cats in the best way possible – through lowering stress during their visit and providing for their unique health and physiological needs.